Turkish Ministry of Environment and Urbanization allocates $2.75M for restoration. 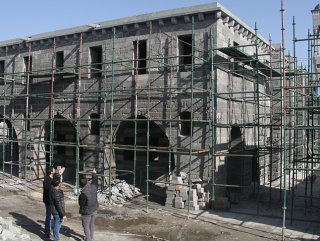 Turkey will restore two historical churches that were damaged in PKK attacks four years ago. 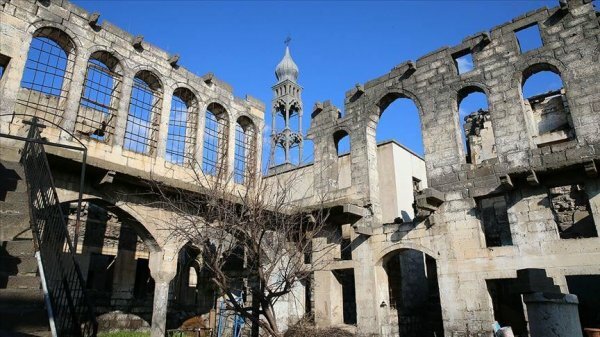 Annan Ertem, director-general of the Foundations department, told Anadolu Agency 15 million Turkish liras ($2.75 million) will be spent on the restoration of Surp Giragos and Mar Petyun churches in the southeastern Diyarbakır province. The Ministry of Environment and Urbanization will provide the funds, he added. 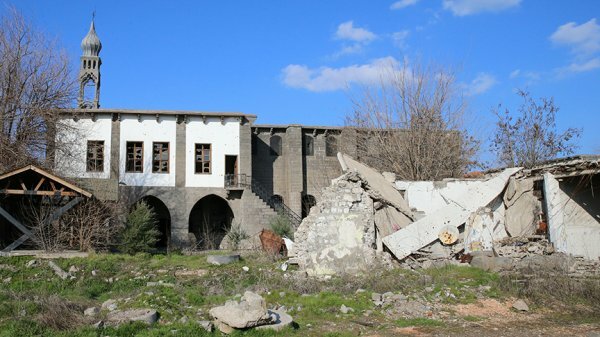 "All historical buildings in the area will be restored," Ertem said. Also speaking to Anadolu Agency, Turkey's Chaldean Church Deputy Patriarch Mgr. Francois Yakan said Mar Petyun is the only Chaldean church in the province. Chaldean Catholics originate from ancient Assyrian communities indigenous to modern-day Iraq. Both churches were built during the rule of the Ottoman Empire. Surp Giragos is an Armenian church built in the 16th century and it is the largest Armenian church in the Middle East spread over 3,000 square meters. Mar Petyun Chaldean Church was built in the 17th century. In its more than 30-year terror campaign against Turkey, the PKK listed as a terrorist organization by Turkey, the US and the EU has been responsible for the deaths of some 40,000 people, including women and children.